There are many different forms of art, design and creation. We believe that music and art seemingly go hand in hand, therefore, we have combined the vision of music, writing and art into one special service. 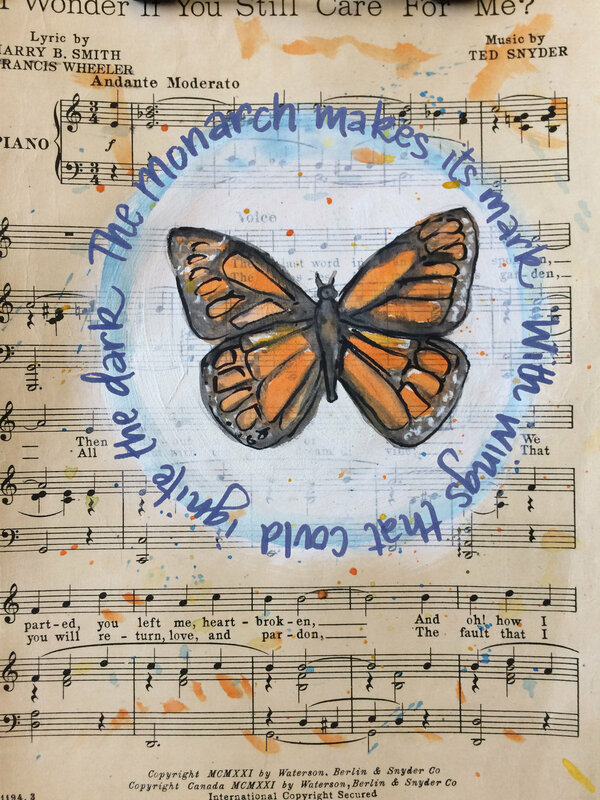 We use art and words to bring sheet music to life. Choose a song sheet to use as your inspiration. Our artist will unleash the beauties of brushwork, color and emotion by creating a watercolor concept to go with your music sheet. Our writer will then connect the dots between the art and music creating a lyric or quote to go with your new piece. 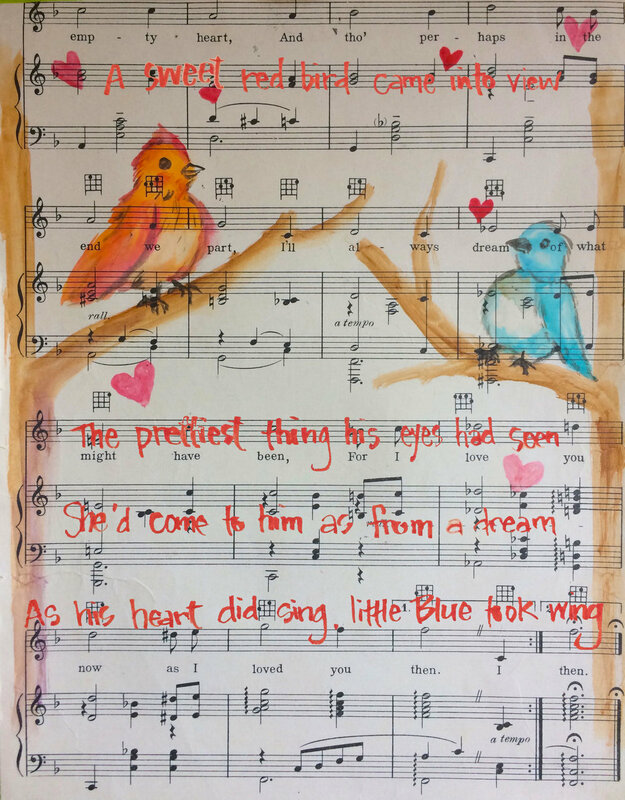 In the end your guests will end up with a beautiful and inspired work of art that gives sheet music a new life.